Most artists pick a medium and then pursue excellence in it. 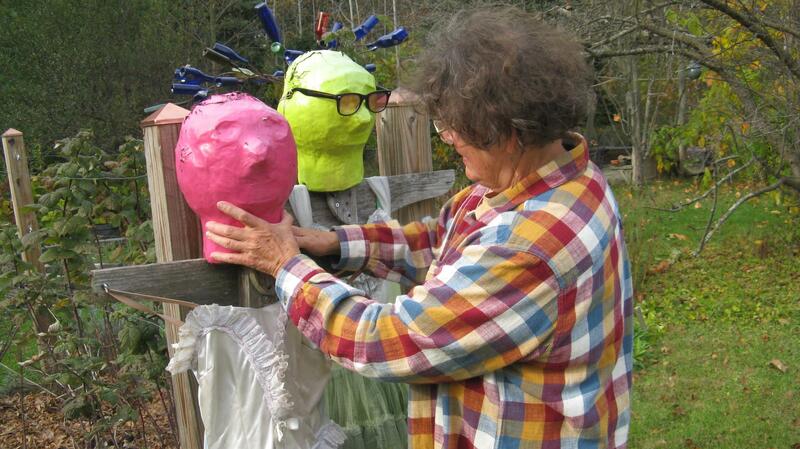 But Anne Mehring calls herself a perennial student of many arts. 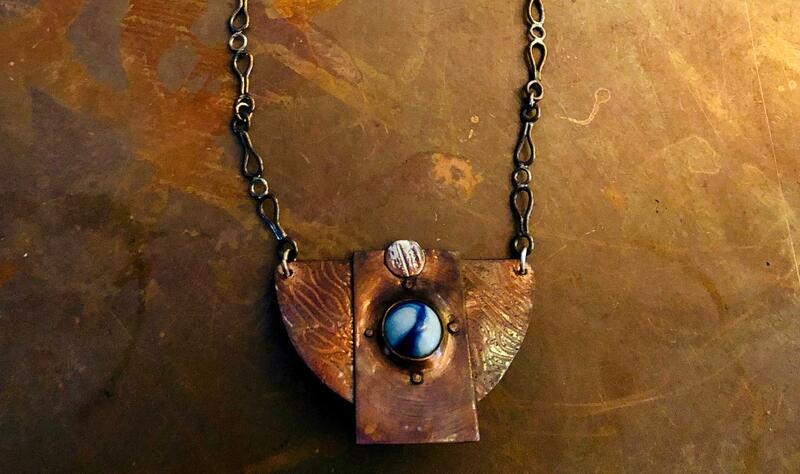 Every Friday you’ll find her working in copper at a studio at Kalamazoo Institute of Arts. On another day she may be working in a studio in Mattawan, creating glass objects. Or she may stay home and weave on a loom. Mehring says her wide range of artistic interests is rooted in her childhood. She grew up in Cleveland Heights, Ohio, where her parents brought Mehring and her siblings to art shows, concerts, and exhibits. Almost by osmosis, she absorbed many of these mediums and acquired a lifelong desire to learn whatever art form best served her wish or need of the moment. Many do, even if initially raising an eyebrow at her ambition. One example was Mehring's desire to put a night light in a hallway at her home. Most people would just go to the store and buy one. But Mehring headed to a mentor to ask how do make one herself. Mehring was off and running. She put a hole in the wall and framed it, then lined the inside with a strip of LED lights. Mehring tends to multi-task with her art, moving from one project and medium to another as the mood strikes her. Pounding on copper to create jewelry, she jokes, relieved frustration when her children were teens and mischievous. Mehring worked many years with the Arts Council of Greater Kalamazoo, mentoring others, processing grants, and encouraging other artists to pursue their dreams. Now, she mostly creates for herself, although her work can occasionally be found in the gift shop of Kalamazoo Institute of Arts, and her friends often benefit from gifts she has made with her own hands. Mehring is also a member of the Kalamazoo Weaver’s Guild. Listen to WMUK's Art Beat every Friday at 7:50 a.m. and 4:20 p.m. Whether with pen or camera, Kaitlin LaMoine Martin has an eye for the world as it is. She’s not good at editing out wrinkles and shadows on faces, and she doesn’t want to be. The young artist finds beauty in the real, not plastic imitation. She’s a nurse in Grand Rapids by day. At night, Betty Houtman pulls her needles and ball of yarn from a basket and sits down to knit. She often does so with others in a group she founded, called Knitwell. It takes artist Anthony Valdez all of two minutes to capture someone’s essence in a caricature. He’s been drawing since he was a child. Valdez has drawn caricatures professionally since 2011.